Thistle Makers | Thistle - Eat better. Save time. Feel amazing. Experience how ideas turn into the meals on your table and get to meet the real people behind Thistle. Coming together to unite a vision of sustainable food. 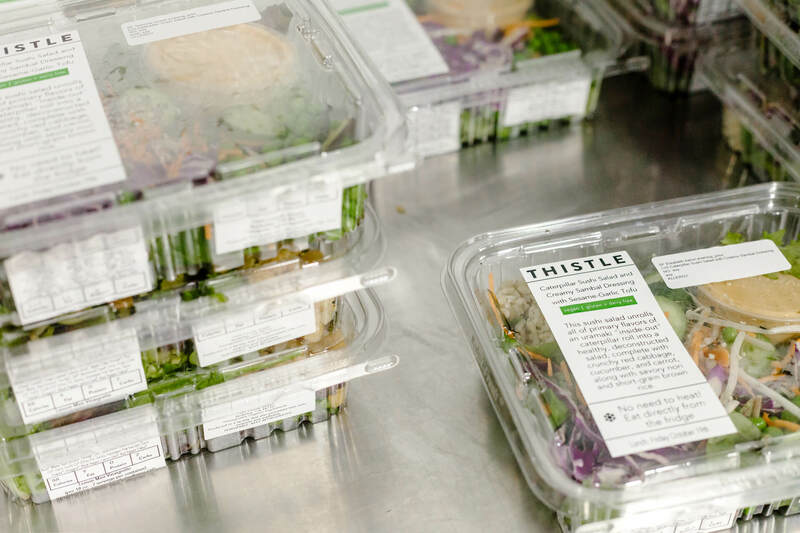 Thistle exists somewhere between a start-up and a farm-to-table joint: we are constantly iterating on delicious meals and innovating the experience customers have enjoying our creative plant-based meals, building a diet that can redefine how delicious it can be to eat sustainably. 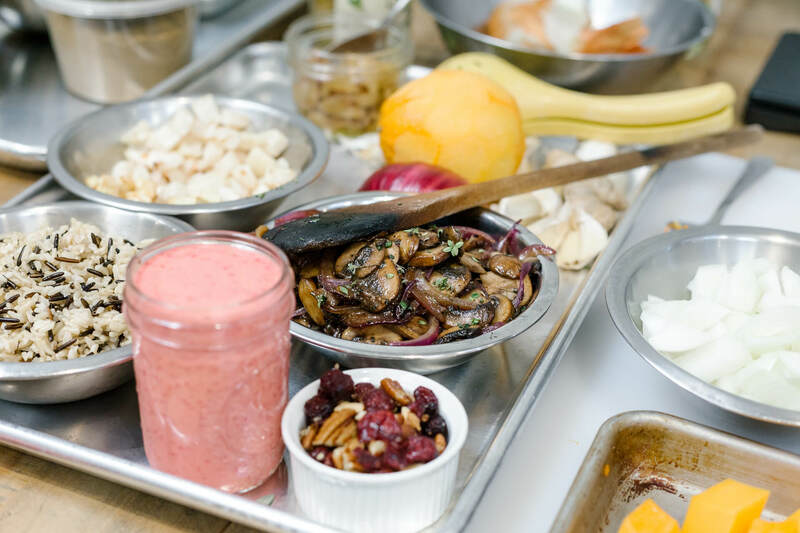 Each day a mélange of ingredients are brought together to form the meals we believe to be both culinary and nutritious. So, similarly, it takes a mélange of individuals, working toward in synchrony, to make that happen. 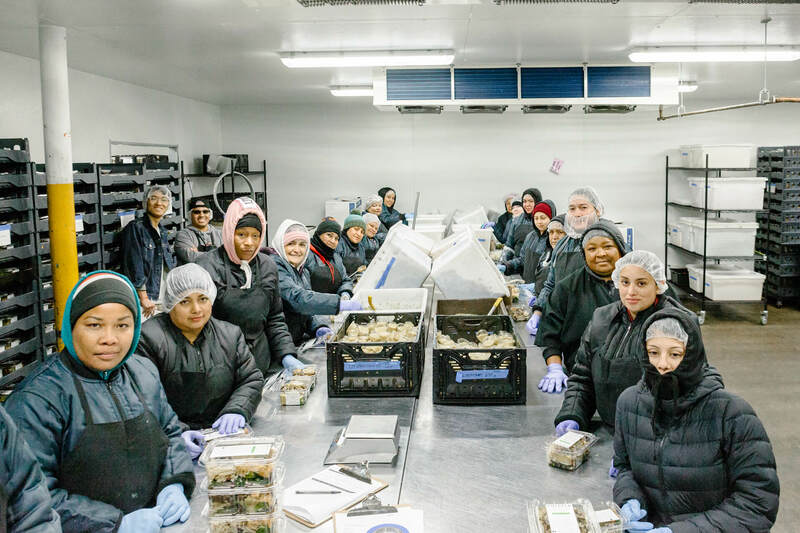 Let us take you through a Thistle meal from conception to your doorstep, through the perspectives of the incredibly dedicated individuals keeping the vision alive. 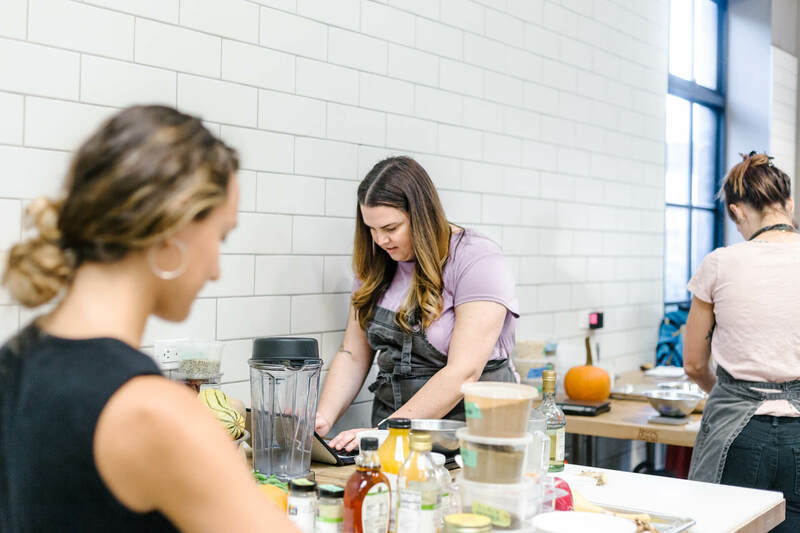 “Within the realm of nutrition, we are the tastiest option,” says Gutierrez, who is immensely proud of her team and the work they’ve done developing scalable vegan and gluten-free recipes. 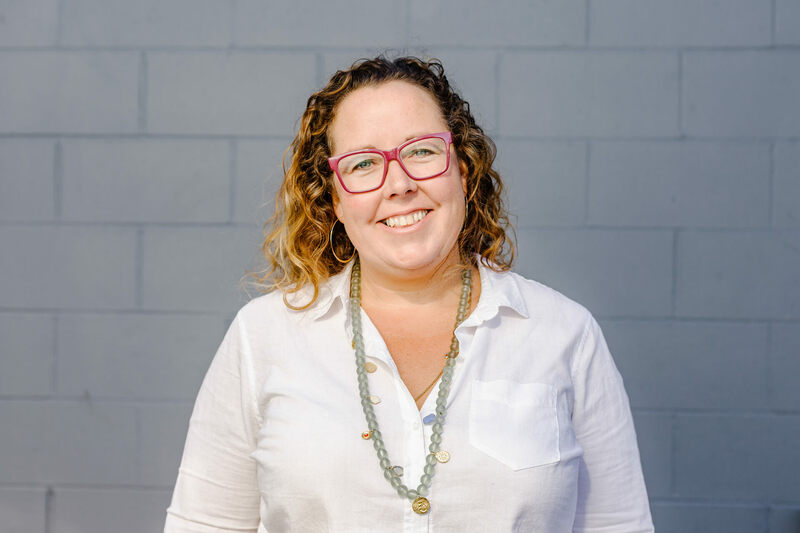 Naiha Falkner, who has worked in Bay Area restaurants since the age of 18, has spent considerable time at Thistle experimenting with gluten-free baking recipes. “You’d think it would be constraining,” Falkner says in regards to Thistle’s move away from traditional gluten-rich wheat flour, “but I’ve learned about ten new types of flour – plant based foods in such a new and un-embarked world in the culinary profession.” Rachel Barron, also of the Culinary R&D team cites the creamy white bean ricotta as being another successful creative endeavor in vegan sauces. From the test kitchen, recipes are scaled and ingredients are prepared in a production kitchen. The key is creating the consistency needed to ensure that the first batch of beans taste just like the last. Since Thistle uses local, seasonal ingredients, preserving fresh produce is a huge priority. Ashley Lowe is the Operations Manager at Thistle’s Oakland facility. Lowe is a registered dietician and committed to elevating the culinary end of the Thistle dining experience. She works tirelessly to make sure her crew has the tools and specifications to produce the most consistent product. Banesa Lima is a part of that crew. She joined after a recommendation her father, Luciano Carranza, who is a driver for the company. “I feel like I have potential here,” Lima says of her team at the production kitchen. 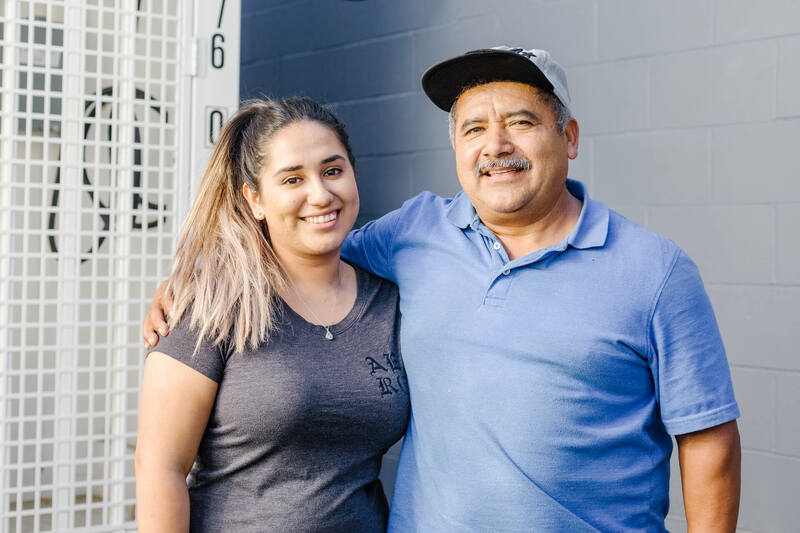 After being at Thistle for a year and four months, she moved from a prep cook role to culinary lead, lending a valuable perspective as an HR assistant due to her fluency of both Spanish and English. 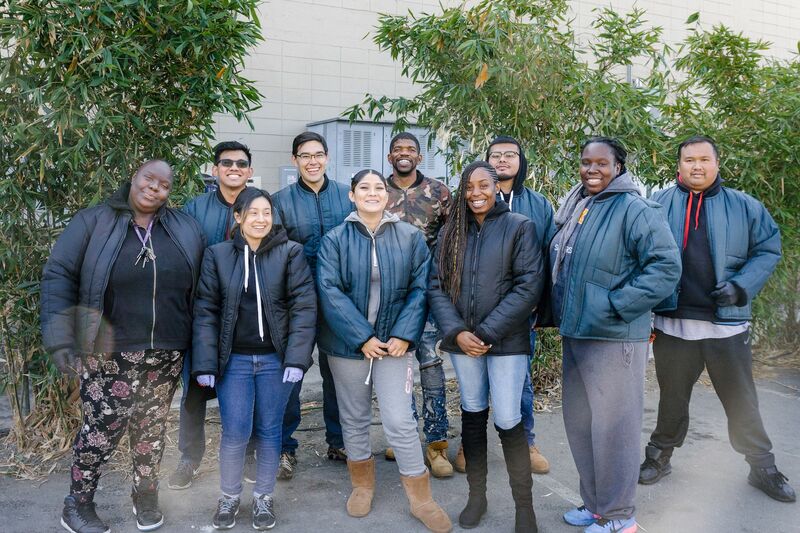 After Bailey and his team packs each individual order, drivers complete the last-mile delivery in time for Thistle to arrive at your doorstep. Lee Barkin is a retired chef and delivers two days a week for Thistle. Worn from decades in the kitchens, Barkin likes working for Thistle due to the flexibility of the hours. On any given week he can pick up a few hours here and there. It’s an ongoing commitment that doesn’t take a toll on his body. He likens the customer interactions he’ll have meeting Thistle customers to his days working in fine dining. 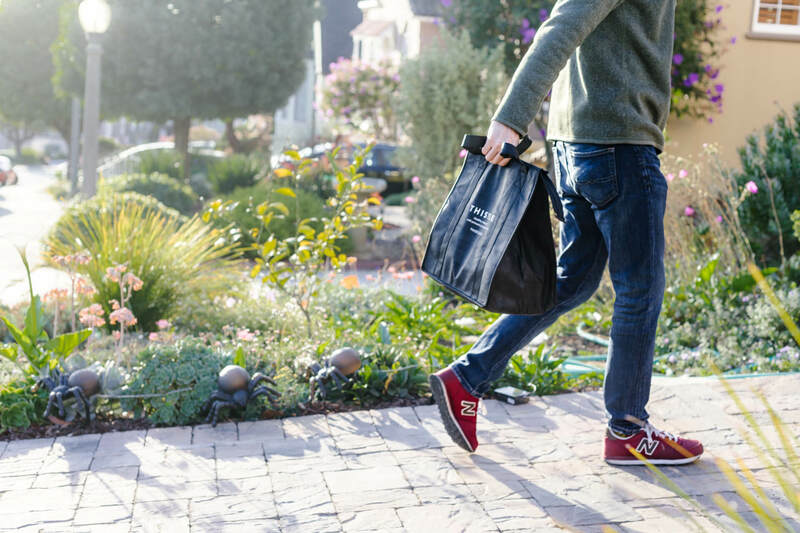 He’s able to effortlessly breeze a charming morning greeting to passing neighbors while striding through the neighborhood with bulging Thistle totes in hand. Here at Thistle, our mission is to make eating healthy foods convenient and accessible. Check out our menu to see what's coming up this week.